I really don’t like to write bash script. I prefer use python as my shell language, but I have to admit that in some cases, bash script can be simpler than python. I found the discussion Are there any languages that compile to Bash? someone mention Plumbum for python and ShellJS for nodejs both reimplement some unix tools. I tried both, here’s what I learned. Plumbum: overriding many python operator | < > …etc. give these operator new meaning such that > or < for redirect. 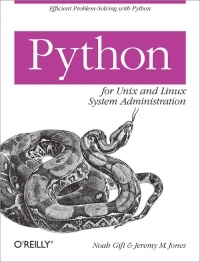 ipython is really amazing, I use it as my default pytohn REPL, this book give me lot’s of way to write a bash like script in python way, oh… not exactly pure python, ipython invent some of it’s own syntax. %rehash: hash command in PATH. make unix command can be use inside ipython REPL. script can be store in *.ipy for future use.